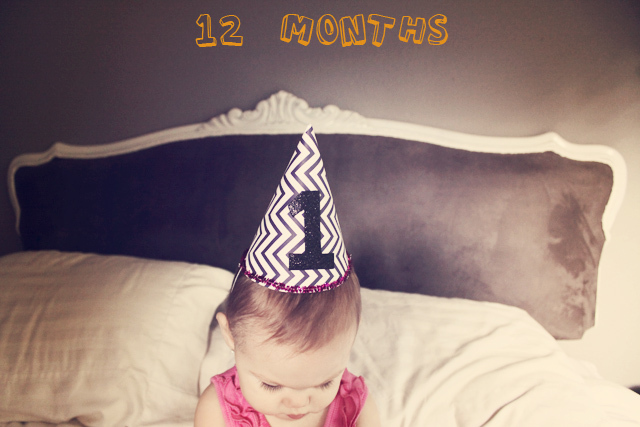 Today is Rowan's first birthday and it seems like just yesterday I was posting this the day that we brought her home from the hospital! 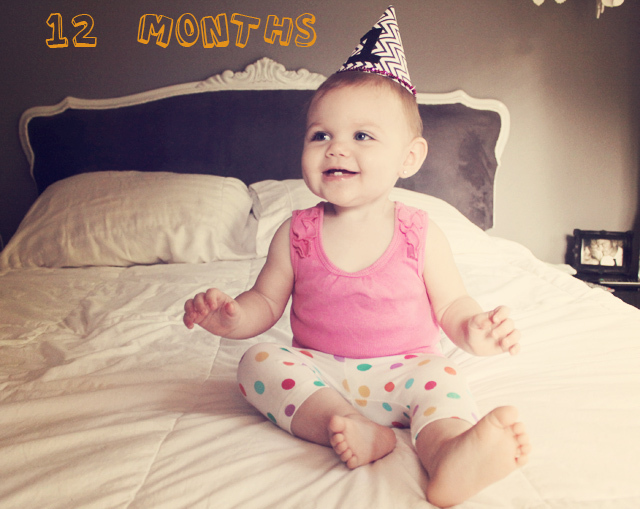 The time has flown by but we've enjoyed every second of it because she reminds us to be grateful every single day. This really has been the best year ever and we'll never be able to thank her enough for the joy that she's brought into our lives. climbing up on the couches, walking, looking underneath things, dancing, crawling under the dining table, pillows, Yo Gabba Gabba! when we take away things she shouldn't be playing with, staying still. 20 lbs, 2 oz and 29 3/4 inches. Very cute! Happy Birthday Rowan! happy birthday rowan! her little earrings are too cute. 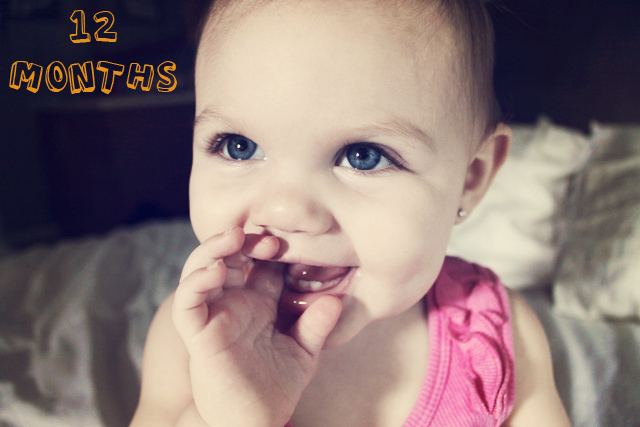 i started reading your blog while you were still pregnant with her, and it's so crazy to me that it's been a full year! just love her photo collage!!! it's so amazing how fast they grow. sending you love on your b-day rowan! Happy birthday beautiful girl! Time sure does fly! She is so gorgeous, what a blessed mama you are! reading that first paragraph got me a little choked up. because i'm not a mother yet, i don't fully comprehend what having a child is really like, but reading what you wrote about not being able to thank her enough for all of the joy she has brought in your lives really makes me anxious to have a little one of my own. 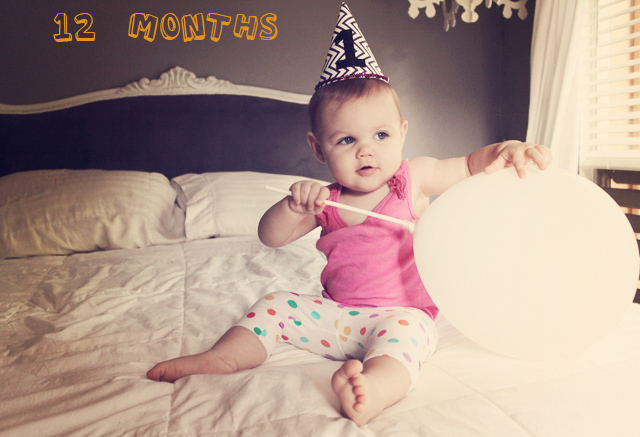 happiest of first birthdays to you, precious and gorgeous Rowan. Happy Birthday Rowan!!! She is such a cutie! 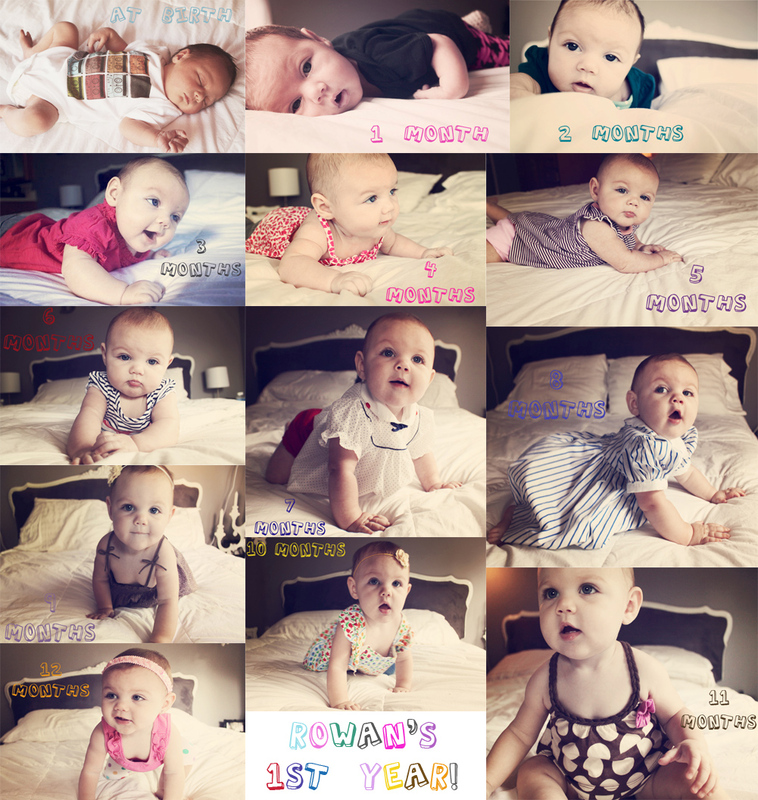 awww, happy one year to your beautiful little girl Rowan!! She is a fast walker! Aren't their kisses the best thing ever. Sounds like she is an active little gal and boy, mine still gets SO mad if I take away our car keys or try to take her out of the driver's seat of our car which she loves to play in. lol. Happy first year as a momma to you! 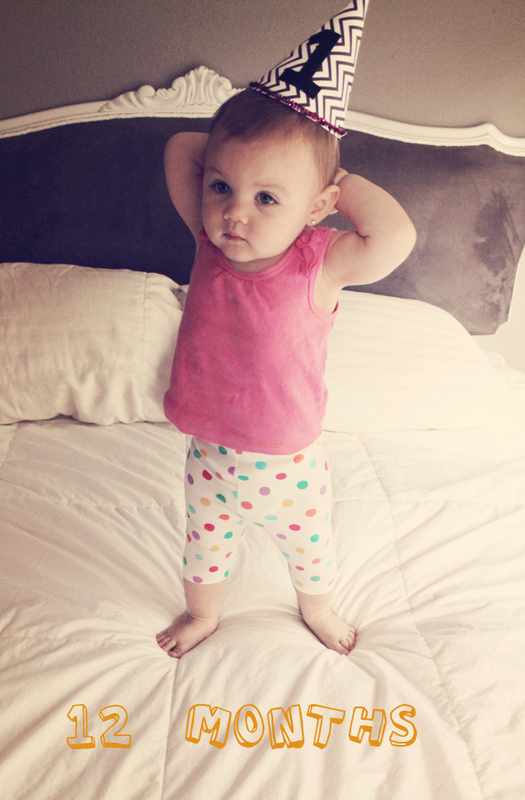 I can't believe how big she is! I feel like I've watched her grow up too. Happy Birthday Rowan!! Happy birthday Rowan, gorgeous girl! Much love from all of us out here in the blogging universe! That third picture made me giggle, she is so cute! Happy birthday. Thanks for sharing you're amazing first year with us! You are sooooooooooo adorable. I just found out I'm having a girl today! I'm so excited and can't wait to buy some cute clothes, I'm always jealous of miss Rowans wardrobe. Happy Birthday Rowan! 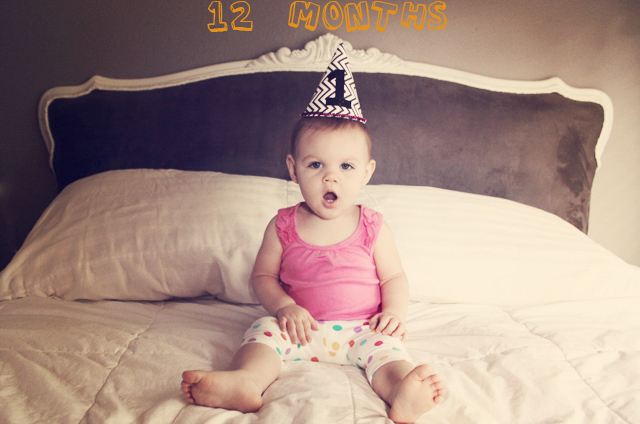 :) You're one cool on year old! i loved the mini montage. she's so presh. congrats to raising such a beauty! she is so gorgeous girl!!.. Happy Birthday Sweet Rowan! She's a doll! She is SO beautiful! Happy happy birthday Rowan!